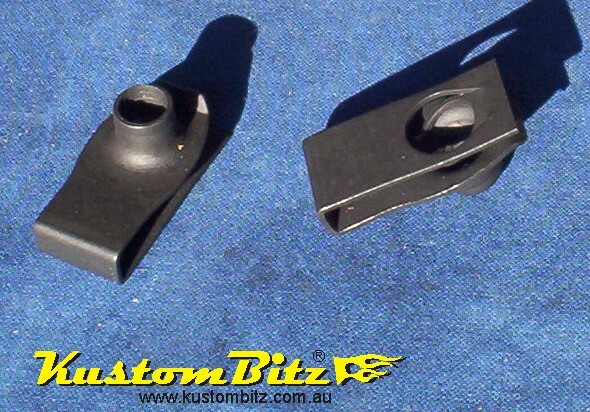 Part# KB-516-B275 - 5/16 UNC thread Mild Steel black speed nuts that clip over inner body panels to hang the outer panels. 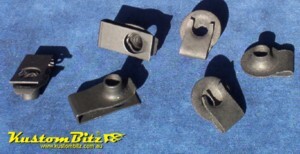 Typically used on Bonnets, Boots, doors and mu gaurd panels. 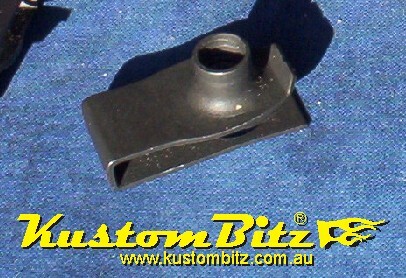 This long narrow style was typically used on most Fords, however there is no reason why it cannot be fitted to other applications. Prices are per each item. Chevy 292 inline six cylinder 4 barrel AussieSpeed intake manifold - Holley Flange.